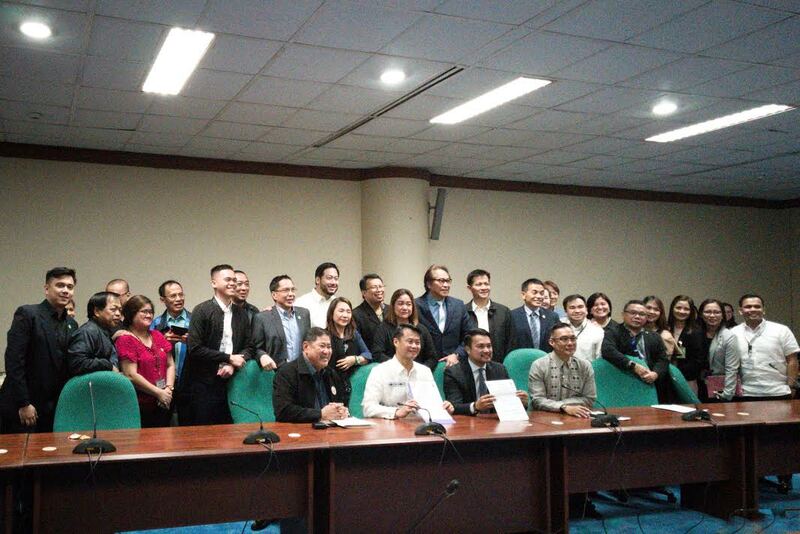 The ECCP attended the 16 January 2019 Bicameral Conference Energy Affairs Committee Meeting, to discuss the disagreeing provisions on the Energy Efficiency and Conservation Bills -- Senate Bill No. 1531 and House Bill 8629. Both chambers agreed to use SB 1531 as the base bill for the reconciled version of the measure. Chairing the Senate Energy Affairs Committee is Senator Sherwin Gatchalian, while Congressman Lourd Allan Jay Velasco is his House counterpart. The law aims to provide security in supply, while reducing carbon emissions due to the use of energy. Senator Gatchalian highlighted that this measure can be seen as way to increase power supply in the form of savings. Moreover, it helps provide stability and sufficiency of energy supply, and the country align with the Sustainable Development Goals and international commitments. According to Senator Gatchalian, the Philippines is the only country in ASEAN that is yet to implement a law that promotes and incentivises energy-efficient projects. With this development, the country is a step closer to finally enacting a measure that was first proposed in 1988 during the 8th Congress.